Each week, members of the Postgraduate Community Engagement Team and Wellbeing Support Services will be in our dedicated postgraduate spaces to discuss the best ways to improve your wellbeing while studying. Come and speak to us, share a wellbeing tip in exchange for tea, coffee and fruit, and read the wellbeing tips left by others to get some inspiration! 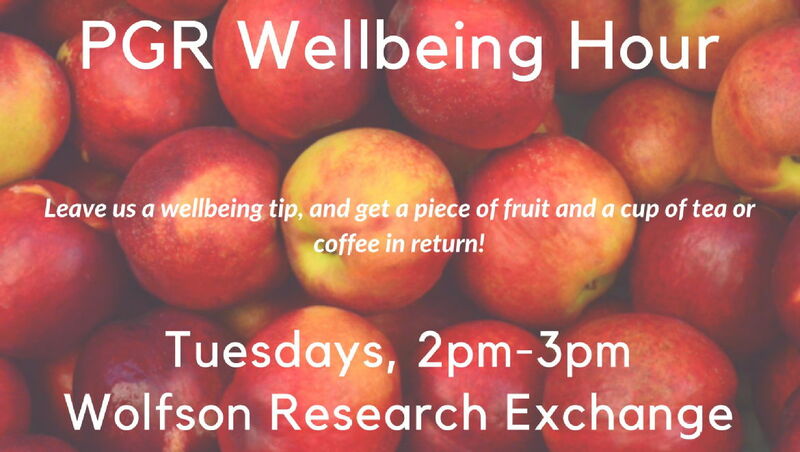 PGRs: join us every Tuesday, 2pm-3pm in the Wolfson Research Exchange. PGTs: join us every Wednesday, 2pm-3pm in the PG Hub main atrium. Can't make it but have a wellbeing tip to share? Why not tweet us - our Twitter handle is @WarwickPGHub! 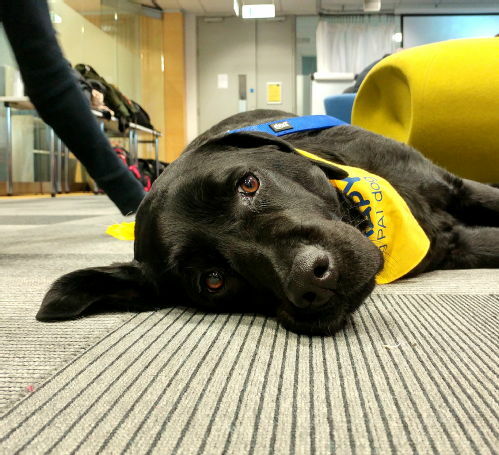 Why not swing by Research Refresh, Thursdays 10:30am - 12pm in the Wolfson Research Exchange! Come to PG Tips on Tuesdays, 3pm - 4pm in the PG Hub Relaxation Room, to speak to our mentors about any aspect of postgraduate life - or message the online mentoring platform! 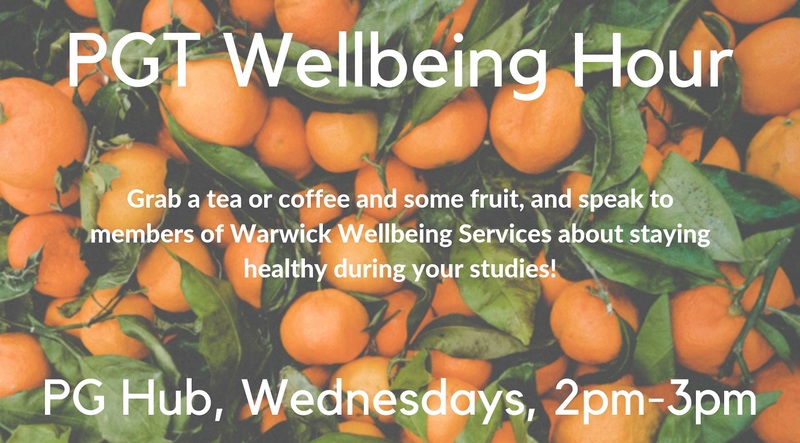 Find out about the other events run at Warwick that can help you improve your wellbeing!